The Long Run – How Long is Long Enough? | Barefoot And Running Blind! Do not go where the path may lead, go instead where there is no path and leave a trail. – Ralph Waldo Emerson. There’s some fantastic pointers here and the main thing I’d like to highlight, would be the awareness of “listening to your body”, rather than racing at a pace your scheduled plan or HRM watch is stating you should be maintaining. The variables that come with day to day life, food, sleep, work and everything in between can affect you from one run to another. 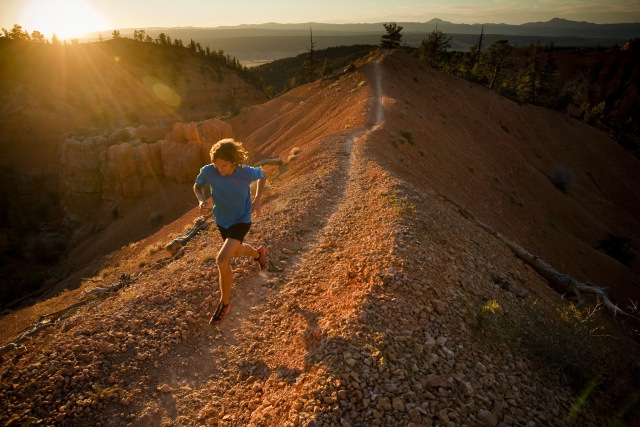 This week, we welcome back Andy DuBois for some more insights into how ultra runners should train for those big races. The long run is a very personal thing, and as ultra runners, we tend to be of the belief that we need to be doing really long runs for our 100km+ ultras. But do we really need to do that? Is it practical? In this article, Andy offers some vital tips and rationale as to what you might want to consider for your weekend long runs. Once again, we’d like to thank Andy for his contribution to the website, so take it away mate! A common mistake for runners making the jump from marathons to ultras is to continue to run their long runs at the same pace. This is fine if you are training for a 50k but if you are training for 100k or more than you need to slow down. Your long run should feel easier than the long runs you did training for a marathon. Running your long run faster is not necessarily better. The aim of the long run is to build endurance by improving the body’s ability to burn fat, increase capillary density and mitochondria in the muscles. The faster you run the less fat you burn so the less stimulus there is to improve your fat burning ability. the faster you run the more damage you will do to your muscles which can affect the rest of the weeks training. If your race is on technical trails then it makes sense that your long run isn’t done on road or gentle fire tracks and vice versa – train specifically for the course. Too many runners think that walking is a sign of weakness , after all if you are a runner isn’t walking cheating? 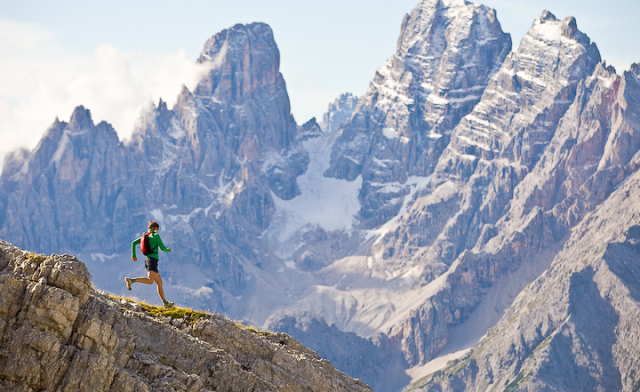 However in an ultra – particularly a trail ultra almost everyone walks some of it. So you may as well practise it. Walking in your long run also allows you to cover more mileage with less risk of injury . For example running 40km non stop will put a lot more load on your legs compared to running 50k but broken up into a 5k run 1k walk. For more info on how to improving your walking during an ultra have a look here. That 45k run was run over 6 hours and included well over 2500m of ascent and descent. It was preceded by a 30k run the night before which also included nothing but hill reps. I recovered well enough from this to hit the track two days later and clock up some respectable 1 mile repeats (sub 5.30). Previously the long run built up to a point that I would need at least 3 days to recover from. Being able to back up from long runs and run at speed a few days later made a massive difference to my endurance at the back-end of a 100 mile race. That’s not to say this is the best option for you. This worked for me when I was training for UTMB with the massive amount of ascent and descent but for less hilly 100 mile races I have trained differently. ← D33 Ultra – “D” for ‘Drenched! Finding Gobi – 3 Book Deal!